Alcazar of Segovia when translated means the Segovia Fortress. After looking at the pictures of this castle/palace, you’ll see why it was named that. Segovia features a design that closely resembles the bow of a ship. It’s one of the more interesting castles in Spain. Should your travels ever take you to Spain, then definitely put reminder somewhere to visit Segovia. Segovia Castle is located in central Spain. 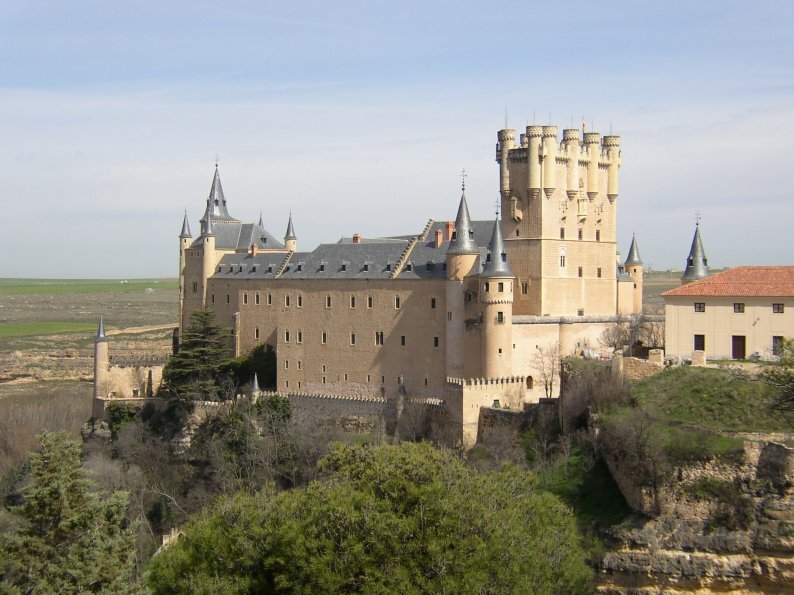 It’s located near the Segovia city, from which it goes its name. Castle is built on top of a rocky crag, above the confluence of two rivers. The Guadarrama mountains are also located nearby. Take a look at the castle from the north and the south. Top picture shows the unique architectural design that makes this castle stand out from all the others. First mention of the Segovia Fortress in its current form is at the start of 12th century, year 1120 to be more precise. It was rebuilt multiple times over the years. 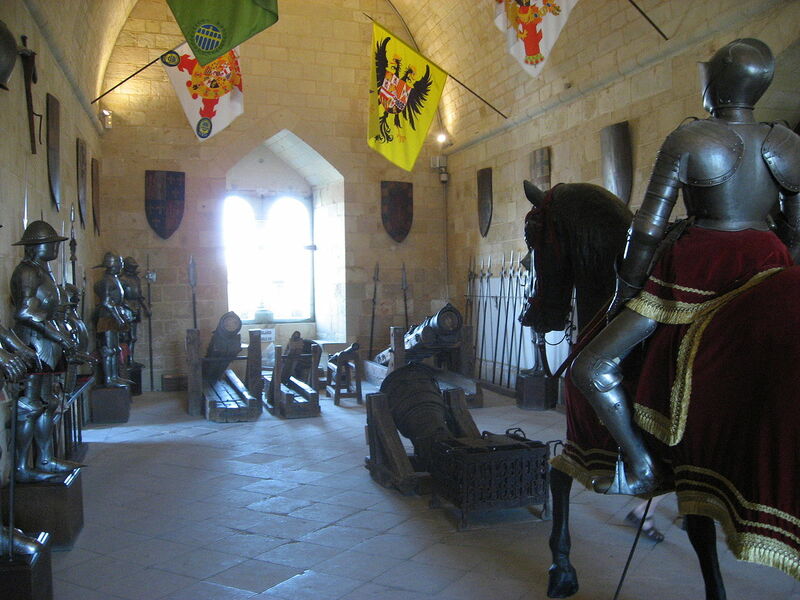 Last major renovation happened in 1882 after a fire sadly destroyed most of the roof of the castle. During the centuries the Segovia castle served as a royal castle, prison and lastly a military college. Currently it serves the purpose of a museum. 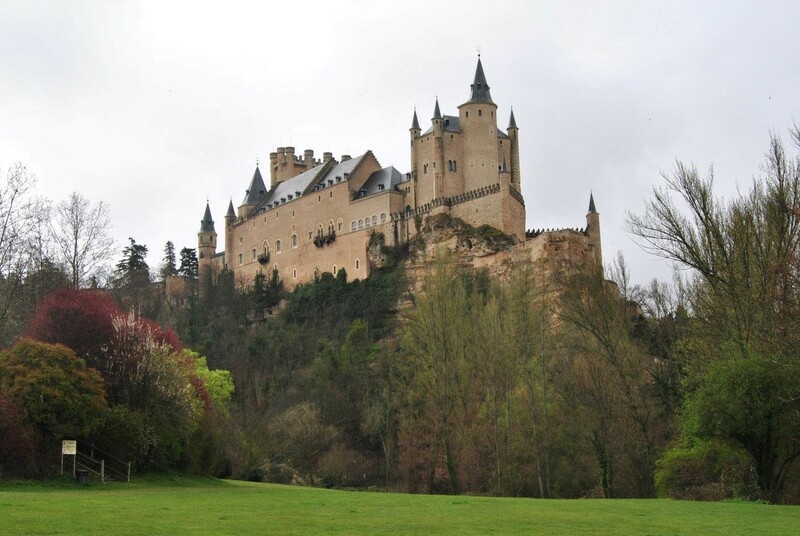 Like I already mentioned, if you’re a castle lover and you’re visiting castles in Spain, then Segovia should be at the top of your list of places to visit. Let me know if like it when you do visit it.